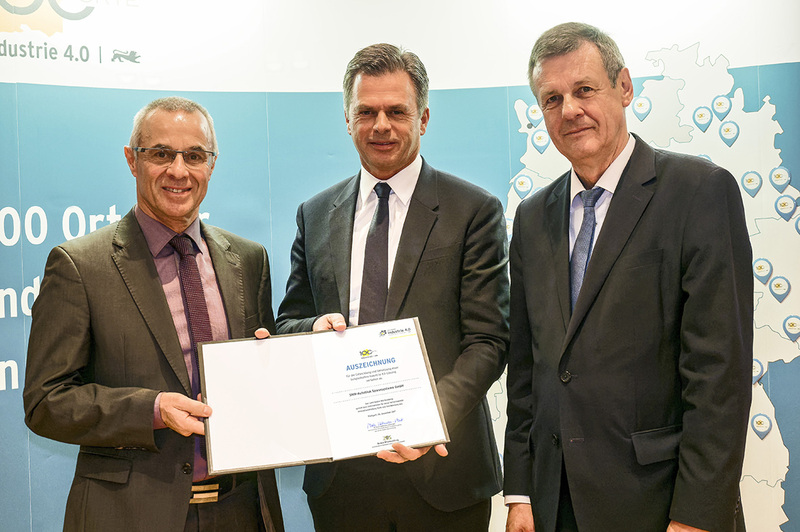 SMW-AUTOBLOK received an award to be one of the “ 100 sites of industry 4.0 in the state of Baden Wuerttemberg. The award ceremony and the handover of the award took place last Wednesday, December 06.2017 in Stuttgart. Starting from now, the catalogue Stationary work holding is availlable. To complete the line of work holding, SMW-AUTOBLOK offers high class stationary work holding solutions from now on. The combination of proven rotating work holding with new innovative stationary solutions offers our customers a complete package from one source. The advancing sucess that SMW-AUTOBLOK has had in the past years, calles for adjustments in space and buildings. Our new, well planned building, will well prepare SMW-AUTOBLOK for all future challenges. As a commitment to the base in Meckenbeuren, we will put up a new building, on a new piece of land covering 11000m². We will start breaking ground by end of October 2015. 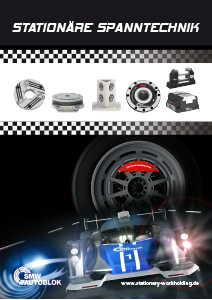 Grinding 15E - the catalogue especially for grinding applications. 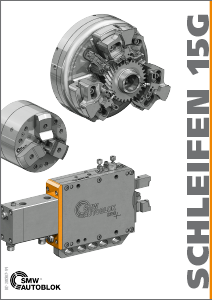 The catalogue contains completework holding systems for grinding shaft type work pieces like cam- and crank shafts, transmission shafts as well as flange type work pieces like bearings or gears. Well done: During the meet and ghreet days the apprentices of SMW-Autoblok made all these great soapppboxes, which where handed over to the children of the St. Gallus aid. The meet and greet days at SMW-Autoblok have brought together 11 apprentices, 3 training supervisors and 3 new apprentices, that will start their apprenticeship in September 2015. During the stayx on a cottage in Oberstaufen, these unique soapboxes where manufatured. They where donated to the children of the St. Gallus aid.